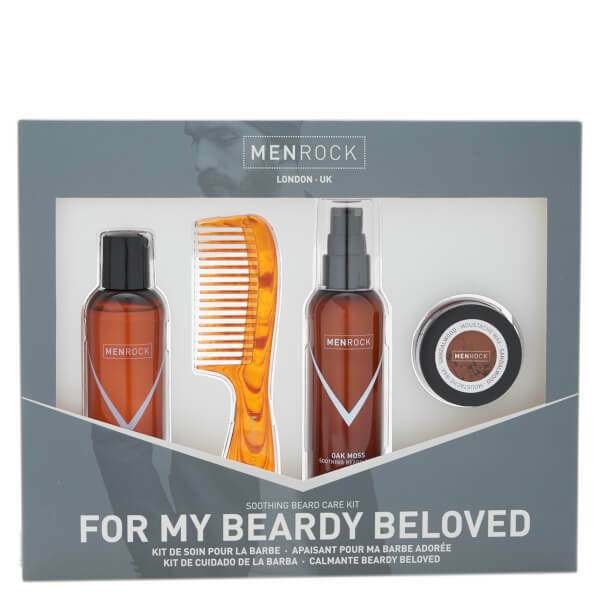 The Men Rock Beardy Beloved Kit is something that any man with a beard should have as part of his skincare range. Remaining well-groomed is important, and this kit can help you do just that. The Men Rock Beard Soap is designed to remove dead skin and other debris from the beard but leave behind a pleasant fragrance. The Men Rock Soothing Beard Balm is a leave-in conditioner and can help with the itching sometimes associated with a beard. The Men Rock Sandalwood Styling Wax can be used to style the moustache in minutes. 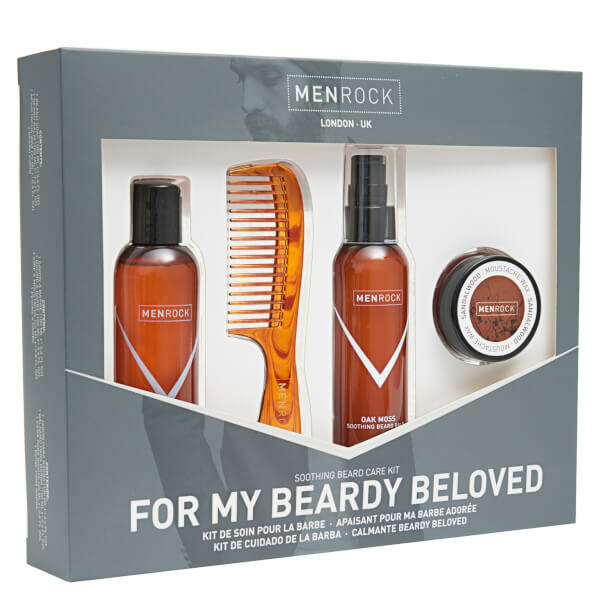 The Men Rock Beardy Beloved Kit also makes a great gift.